Hot food for the road - and beyond. 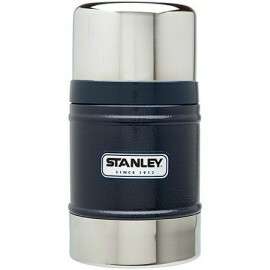 This stout container is compact enough for packing in a lunch cooler or for an outdoor adventure. 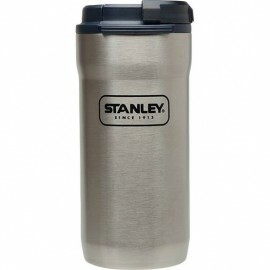 The stainless steel construction stands up to rough work or play. The insulated lid doubles as a bowl. Wide-mouth opening makes it simple to fill in the morning and clean at night. The Original. 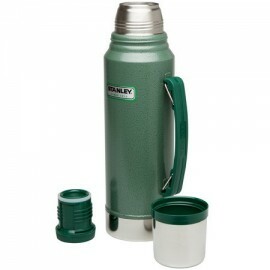 Few have as loyal a following as our classic green icon. 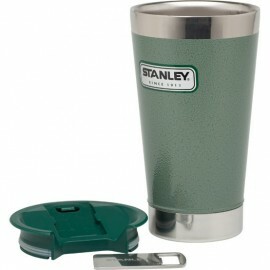 The pro's choice from construction sites to the outdoors it's been keeping coffee hot around the clock since 1913. 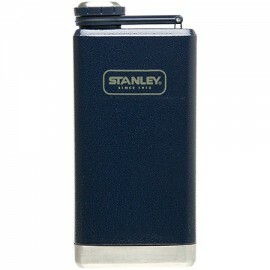 The ultimate in durability it'll be kicking for generations to come. Keep food hot 'til you're ready to eat! 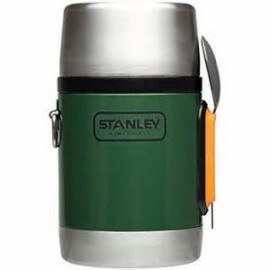 This food jar features Stanley Classic's superior vacuum insulation to keep grub toasty for 6 hours and a man-sized spork for eating outdoors. 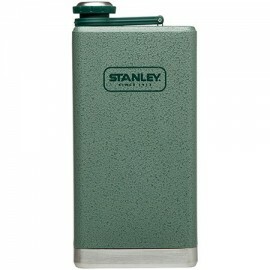 A storage compartment in the stopper keeps matches, money or snacks safe on hikes or at camp. 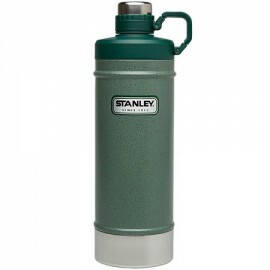 BIG STEEL FLASK. 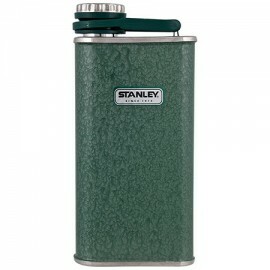 This basic stainless steel flask is the perfect piece to take tailgating, camping, or just to use when celebrating. It's rugged exterior makes it the perfect accessory. 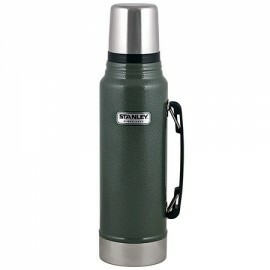 Holds a full 8 ounces of your favorite beverage.